Commercial gas boilers are essential to ensure that countless day-to-day activities within restaurants run smoothly. While these modern devices are quite reliable, they may still encounter problems from time to time. Being able to recognise the most common faults is therefore essential if owners wish to avoid any unnecessary downtime. Let us examine some issues which might be present so that a qualified LPG gas engineer will be able to provide the appropriate solution. This is by far the most common problem and it is often associated with a malfunctioning thermocouple. If the thermocouple is not within the path of the flame, it will fail to reach the level of heat required to open the nearby safety valve. If the thermocouple is found to be in the flame and the pilot still fails to light, the chances are high that the thermocouple will need to be replaced. There can also be times when an oven fails to reach the appropriate temperature. The most likely culprit is the thermostat. Although the unit could very well be defective, there are also times when it has not been calibrated properly. One-site staff can perform this task or they can obtain the services of a qualified professional. This issue is also closely related to the thermostat; particularly if a new one has recently been installed. Thermostats regulate temperature with the use of what is known as a capillary tube attached to a bulb. This bulb is placed inside of the oven and it is used to measure ambient temperature. However, there may be instances when the bulb was inadvertently placed in the wrong location. This can cause the thermostats to “run wild”. As a result, the food will fail to cook evenly. Any time when there is a strong odour of gas, the situation must be taken seriously. While it may be cause by a failed pilot light, there are also instances when a seal has been ruptured. This is why it is important to contact a technician as soon as possible in order to rectify the issue. CPS Gas provides a host of commercial-related services to a growing number of customers. 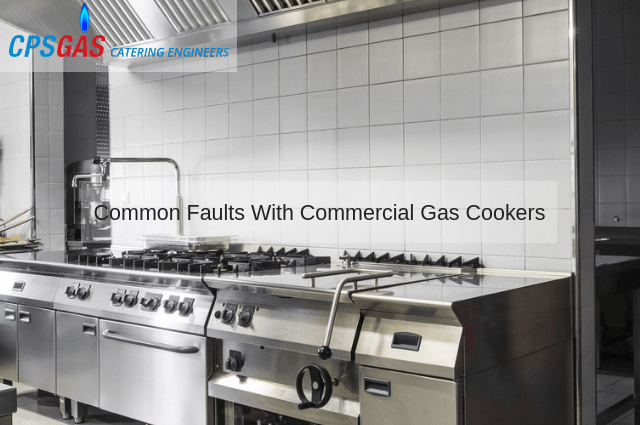 If you are experiencing any issues with your gas cooker, please contact us to obtain a professional diagnosis.